L, 522 p., 17,3 x 24,8 cm. 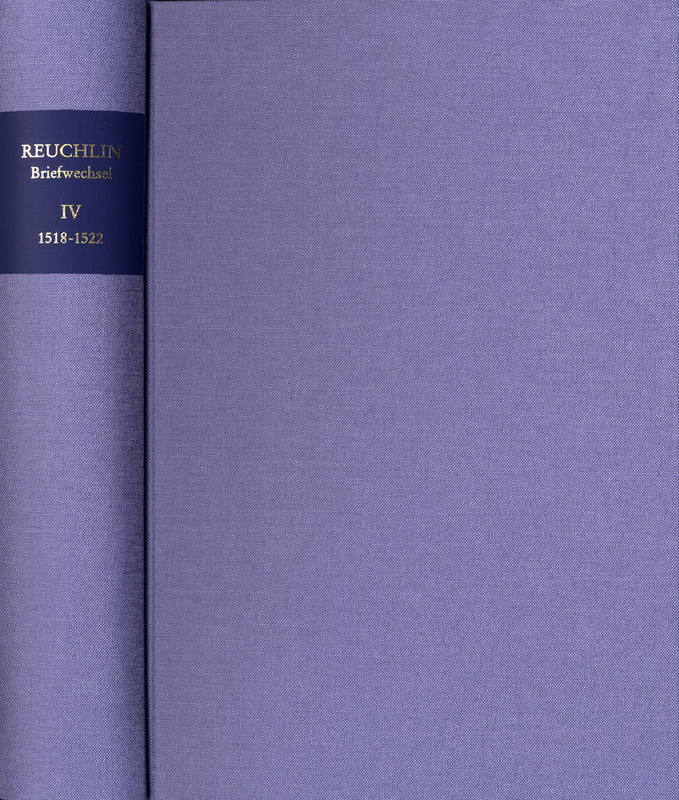 The letters in this volume were written during the last four and a half years of Reuchlin’s life and show the impact of the war in Württemberg (1519) and of Reuchlin’s work as a professor of Greek and Hebrew in Ingolstadt (1520) and Tübingen (1521/1522). Reuchlin did not join Luther‘s Reformation, in whose undertow his lawsuit against the citizens of Cologne ended in defeat in 1520 in Rome. This led to a break with many of his old companions, among whom were Ulrich von Hutten and Philipp Melanchthon.